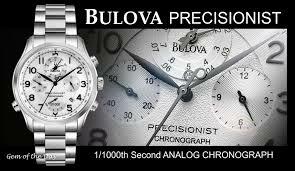 The brand new Bulova Precisionists have arrived. These are the most accurate watches in the world and have the sweep second hand just like a Rolex we have 2 of the 18 that were available at Bulova New York Headquarters! Come by our store at 4009 N. 23rd Suite b in McAllen and see them today! We will give free lifetime battery replacement with the purchase of any Bulova purchased from AAA Gold Silver and Diamond Exchange.